Using a blank piece of paper as a metaphor for our lives we can be certain that the page contains a story. Each person has the opportunity to write or create personal narrative. Some of us just live the outline of our potential story. Some of us live a section of our story. Some of us sit in the corner or underneath the page waiting for something or someone to show us how to begin that story. Some of us completely cover the page with stuff from top to bottom. Some of us are still looking for a pen. That page has the potential to contain a master piece. I have made my mark. I am making my mark. I am beginning to make my mark. I am in the planning phase of making my mark. This master piece can also contain a squiggle; a memorable squiggle. If that is part of the big picture the squiggle can be the mother of all squiggles. It is for us to know that the situation is perfect in all its “ghastliness”. Somewhere beyond this there is that other blank page with another part of the story that might not be visible now, but that it has the potential for a “master piece”. Writing is one the most effective ways of sorting your thoughts. It gives you the opportunity to think, rethink, and see what you have only heard or thought up to that point. Most of all; it is a way to move on. It is a way to get you out of your rut and a way to encourage you into action mode. Once you have the beginning of something written down you can progress to the practical bit and start to do the necessary things. Complex, because it has a subconscious quality that needs to be exposed, one way or another. It is subconscious and therefore your conscious mind has to be guided towards it. Multi levelled, because it can cover more than one aspect of your life. Sharing your dream the listener can interpret your dream as if it was hers giving you another dimension or angle that you can apply. Writing down feelings and explaining things to yourself on paper also gives you the freedom to feel without the fear of hurting others or exposing yourself. We have emotions in order to emote. Cropping up or suppressing feelings are the most common cause of a multitude of dysfunctional habits, behaviour and traits in the human psyche. It is also the catalyst of violence and uncontrolled and hurtful behaviour. It can be seen in addictions where people have no other coping mechanisms and no hope or visible solution to their daily problems. Make a time in your day to write a page. Make a promise to yourself that you will write one full page per day. The cathartic result of this will become visible soon. It is a natural way of distressing, re-organising, re-grouping, planning, becoming aware, and then creating a better reality. 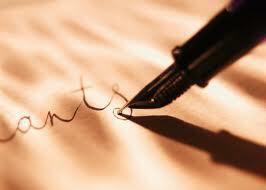 Write apologies to others you have not had the opportunity to apologies to. Write down what you love to do. Make a list of your friends and their good qualities. Make a list your good qualities. Make a list of goals – short term and long term. Writing is therapeutic. It is a way of clearing and cleaning out your mind. It does not cost you a sent and it is as healing as any talking therapy you have ever done or any pill you have every swallowed to feel better.